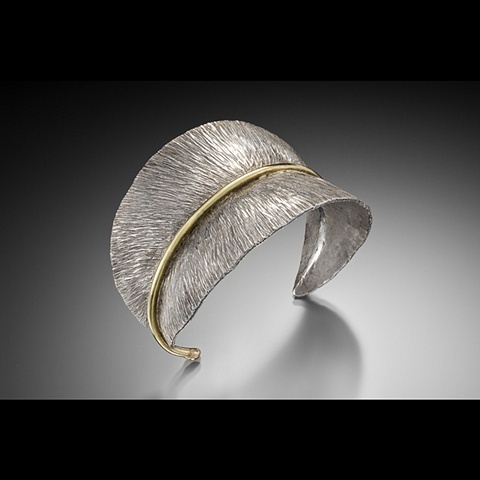 Hand forged Cherry leaf cuff bracelet made of Sterling Silver and 14 karat Gold. Carved and hammered texture with burnishing to add a wet look to the surface. This bracelet was inspired by a Cherry leaf in my yard. This piece is sold. Please feel free to contact me about making something special for you.